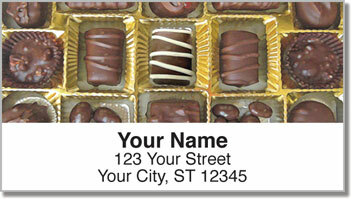 Get the same unpredictable variety found in a box of beautiful, melt in your mouth chocolates on your brand new return address labels from CheckAdvantage. This design is the perfect choice for chocoholics and sweet-tooths of every type! 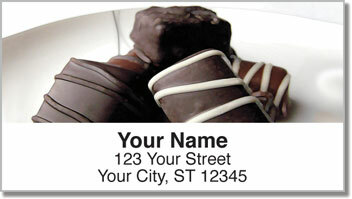 Four photos featuring handcrafted chocolate treats make a delectable way to prepare your outgoing mail. You'll wish these labels were edible! 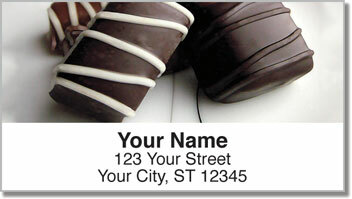 Box of Chocolates Address Labels are not only unique, they'll also save you a ton of time. Forget about writing your name and address on your letters and packages. Just peel and place your new self-adhesive labels and move on! 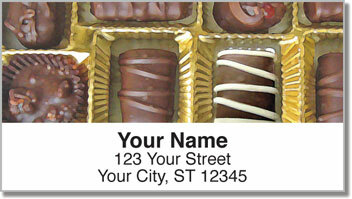 Order your very own Box of Chocolates Address Labels today! Get them in a matching check design too!